With a high compression racing engine like the "Black Widow" you needed the largest capacity radiator the factory could supply. This was the one, a four row high fin count radiator used on air-conditioned cars. The low fin count was used for dirt track, because it was less likely to clog up. "Old Guy Scott" said the lower spout was oval shaped and not long enough for the double clamped system used in 1957. In photo #525 note the use of heat soaking putty around the spout to keep the soldering job intact. Photos #526 & #527 show how it was done and be sure to make the ring on the end so the hose won't blow off. 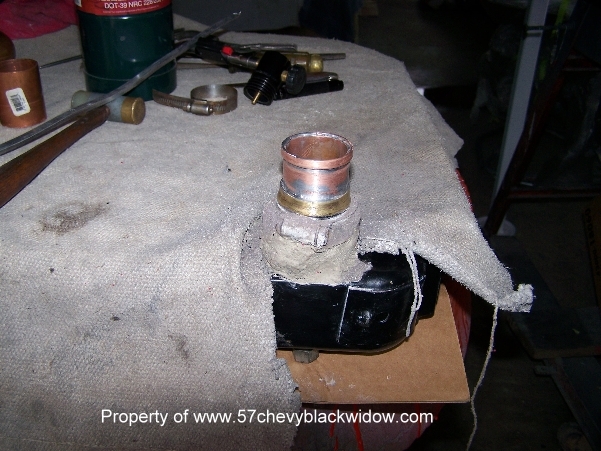 On page twelve of the 1957 Chev. 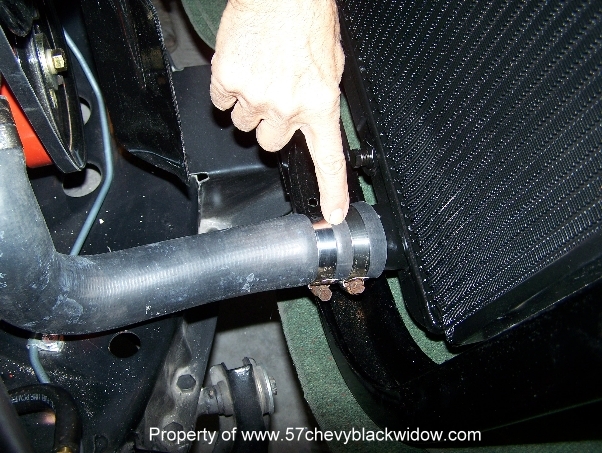 Competition Guide it says a shroud has to be made or modified to fit and in photo #529 shows it completed. 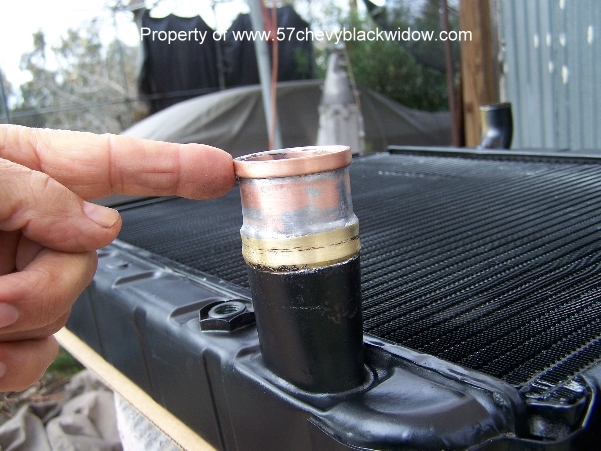 In photo #530 "Old Guy Scott" reminds you to make your own battery cables of double ott two welding cable. 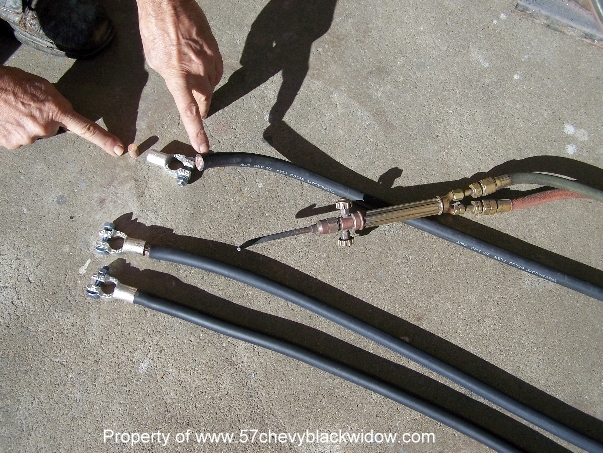 In the heat of circle track racing the engine may stall, these cables eliminate voltage drop and make the re-fire possible.